From a simple large format display banner, right through to a complex large scale pop-up system, Publicity Centre can help with all your large format display and exhibition system requirements. We can provide full colour designs to a superb quality standard using the latest reproduction techniques to get the most from your design and help you really get your message across in a big way! 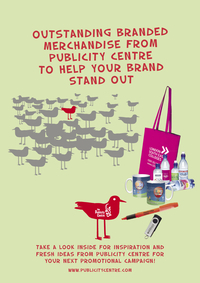 If you are taking a stand at an exhibition, in addition to the design and production of all your display, banner and stand requirements, we can provide everything else you need to make your event a success - from on stand print for brochures, leaflets and other information print through to exhibition bags, badges, give-aways and more. We are always happy to help you with advice or costings at any time so please contact us with your next promotional or marketing requirement – simply phone, fax or email us today!